The Biggest Part of USS…is YOU! With over 90 locations across the continental U.S. and over 2,900 trained professionals, our workforce is as diverse as the customers we serve. We pride ourselves on being a human-centered company that encourages and appreciates diversity in all its forms – from associates, to customers, and to the communities we do business in. 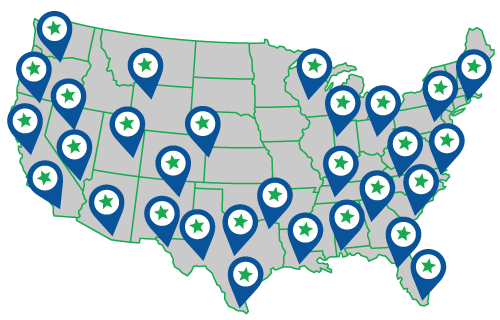 While we have more than 90 locations from coast to coast – currently we have active open positions in the highlighted states. Please click on any of the highlighted states to see list of openings.